HONG KONG, Mar, 28 2019 - (ACN Newswire) - Organised by the Hong Kong Trade Development Council (HKTDC), three trade fairs will be staged in April at the Hong Kong Convention and Exhibition Centre (HKCEC), namely the HKTDC Hong Kong International Lighting Fair (Spring Edition) on 6-9 April, the HKTDC Hong Kong Electronics Fair (Spring Edition) and the HKTDC International ICT Expo on 13-16 April. The three fairs will feature more than 5,000 exhibitors from around the world, including more than 10 pavilions from Guangdong-Hong Kong-Macao Greater Bay Area cities, to showcase a huge range of innovative products and cutting-edge technologies, helping buyers capture the best opportunities during the peak April season for exhibitions and sourcing. Benjamin Chau, HKTDC Deputy Executive Director, said: "In the recent Policy Address and Budget speech, the Hong Kong Special Administrative Region (HKSAR) Government highlighted its commitment to smart city development, innovation and technology, and start-up development. To cater to this growing trend, the Lighting Fair, Electronics Fair and ICT Expo will all showcase smart city-related technologies and start-ups. The goal is to encourage industries to leverage the latest innovative technologies to raise their competitiveness, and to unleash the power of start-ups to inject new impetus into different industries. The HKTDC is organising around 260 buying missions, comprising representatives from more than 13,000 companies from across the globe, to source the latest technological products and solutions at the three fairs." Reflecting the surging demand for smart city-related technologies, this year's ICT Expo will gather more than 610 exhibitors from 12 countries and regions, adopting the theme of Smart City, Smart Living to showcase cutting-edge solutions in six key areas: Smart Mobility, Smart Living, Smart Environment, Smart People, Smart Government and Smart Economy. The Office of the Government Chief Information Officer (OGCIO) of the HKSAR Government will set up a Smart Government Pavilion at the expo to present its innovation and technology (I&T) initiatives. 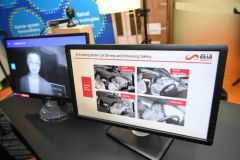 These include electronic identity (eID), smart lampposts that can track traffic and collect environmental data, an intelligent transportation system that leverages in-vehicle units, and the use of virtual reality technology for training. The "Smart Government Innovation Lab" will also be introduced at the pavilion. The Lab aims to facilitate the adoption of I&T to enhance public services by inviting the industry to put forward proposals for I&T applications and product suggestions for addressing challenges in public services, and conducting trials and technology testing of suitable proposals. New to the expo this year is a pavilion from the Hangzhou Government, which will showcase its City Brain platform. The City Brain uses big data, cloud computing and artificial intelligence (AI) to offer solutions for city management in addressing its citizens' livelihood issues. The system will be used at the 2022 Asian Games in Hangzhou to help manage venues, events and participants, ushering the games into a new smart era. This project is headed by Dr Wang Jian, founder of Alibaba Cloud and the Chief Architect of this revolutionary platform, who will host a seminar on 15 April to share its innovative applications. More than 30 French companies - multinational corporations, SMEs and tech start-ups - have banded together to form the So French So Innovative Pavilion, including Capgemini, Schneider Electric, STMicroelectronics and more. Some of the participating companies will host themed seminars and demonstrations during the fair (15-16 April) to share forward-looking smart city solutions. Other key exhibitors at the expo will include Cyberport, Airport Authority Hong Kong, Jetco, Microsoft, NEC, Hong Kong Science Park, SenseTime, Smart City Consortium and Xiao-i. Several local research and development centres will also showcase their latest projects. These include the Logistics and Supply Chain MultiTech R&D Centre (LSCM), the Automotive Parts and Accessory Systems (APAS) R&D Centre, and the Hong Kong Applied Science and Technology Research Institute (ASTRI). During the expo, the Smart City Seminar Series will be held to examine hot topics such as the Artificial Intelligence of Things (AIoT), data security developments, and how technology can enable smarter living and smarter SMEs. In addition, the winners of the OGCIO's Hong Kong ICT Awards 2019 will demonstrate their ground-breaking products and solutions. On 15 and 16 April, the HKSAR Government and Cyberport are joining together to organise the fourth edition of the Internet Economy Summit to examine how businesses can capture the opportunities presented by data-driven innovations. The event will be held concurrently with the ICT Expo at the HKCEC. It will feature leading experts and technology thought leaders from companies such as Amazon Web Services, Alibaba, Twitter, Microsoft, AXA, ZhongAn, Tencent, IBM and HP, who will discuss the immense business opportunities generated by the digital economy. This year's Spring Electronics Fair will feature some 3,000 exhibitors from 21 countries and regions, making it the largest spring electronics event in Asia. The highlighted Tech Hall comprises five themes, including the new AI & Voice Recognition zone. The Asia-Pacific AI Business Alliance (AIBA) pavilion, presented by Tuya and its global partners, will showcase a series of cutting-edge smart-home products that are empowered by the global Internet of Things (IoT) platform, including voice- and cloud-controlled electric window blinds, temperature and humidity sensors, air purifiers and kitchen smoke detectors. Other thematic zones will include the AR, VR & MR zone, Connected Home zone, Robotics & Unmanned Tech zone and the e-Health & Wearables zone. Alibaba.com will debut pavilions at the Spring Electronics Fair and the Spring Lighting Fair, with selected suppliers from its e-commerce platform moving from online to offline to present their latest smart products. Tesla will feature once again at the Spring Electronics Fair, putting its latest product, Model 3, on display and introducing the car's key features such as the pure electric drivetrain and "autopilot" driving. Participants can sign up to test-drive two other Tesla cars, the Model S and Model X, along a predetermined route to experience the electric vehicles' superb performance. On the first day of the fair (13 April), the HKTDC will organise a one-day anchor conference entitled Tech Trends Symposium, inviting representatives from ASM Pacific Technology, Tuya, Arrow Electronics, NVIDIA and the Kopin Corporation to examine the latest trends in consumer electronics, AI, IoT, edge computing, and augmented- and virtual-reality technologies. The fair will also feature robotics demonstrations, product demo and launch pads and buyer forums to facilitate industry exchange. One of the highlighted zones, the Hall of Fame, will showcase more than 600 world-renowned electronics brands, including Bourgini, Desay, ezviz, Garmin, Greatwall and SKROSS. Key electronics production centres in the region, including Mainland China, Korea and Taiwan, will set up group pavilions at the fair. Recognising the growing influence of start-ups, the HKTDC will once again present the Startup zone at the Spring Electronics Fair and ICT Expo. 150 start-ups from Hong Kong, Mainland China, Canada, Japan, Russia, Thailand, Taiwan and the United States will showcase an assortment of innovations in the areas of mobile apps, IoT, consumer electronics, e-health, robotics and e-commerce. Innovative products on display will include an award-winning automated yogurt maker developed by Hong Kong start-up Lecker Labs Limited (Booth: 3CON-069). Users simply need to add a 100% eco-friendly and soluble capsule into the milk, select the type of yogurt desired using an app, and a batch of fresh yogurt will be made in six hours. 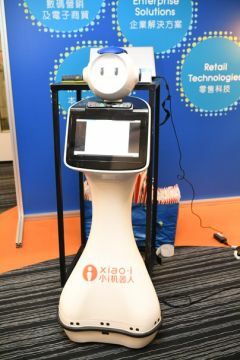 Other products featured at the zone include a temperature-controlled electric milk warming stick and an AI robot that can communicate in 34 languages. In addition, a series of start-up themed events will be held during the fairs, including the Pitching Competition, Media Pitch Day and the "Startup, Smart Launch" sessions. Start-ups can pitch their solutions or products to potential investors, buyers or media on the spot. There will also be an Investment Matchmaking session where start-ups will be matched with investors for one-on-one meetings to explore cooperation possibilities. Other start-up-related activities include mentoring sessions and the Makers' Clinic. There will also be sharing sessions featuring representatives from HSBC, Qianhai International Liaison Services, Jumpstart, a Hong Kong magazine focusing on start-ups, and Techsauce, a renowned technology and business news platform from Thailand, who will share their insights on marketing and fundraising. Featuring more than 1,430 exhibitors from nine countries and regions, the Spring Lighting Fair will showcase leading brands such as MLS, MOSO and SKY-LIGHTING. Various provinces and cities from Mainland China, including Guangdong, Jiangmen, Zhongshan, Shunde, Henglan, and Dali, a town near Foshan, will set up pavilions to display lighting products from the Greater Bay Area. Featured zones include the Smart Lighting & Solutions zone and the newly launched Innobuild zone. The former will showcase the industry's latest smart lighting products. Among the exhibits, DIMON Technology Limited (Booth: 1C-F02) will present its NANO lighting control system that was specially designed in the United Kingdom. The system can transform basic room controls into an IoT-powered, wireless-controlled solution for simpler, more cost-effective and energy-saving operations. The zone will also feature exhibitors concentrating on the IoT Lighting Supply Chain, organised by Shanghai Pudong Intelligent Lighting Association, showcasing some of the industry's leading players, including Tuya and Broadlink, to demonstrate innovations such as IoT platforms, AI solutions and smart lighting systems. The Innobuild zone is newly added to this year's fair in direct response to the growing smart-living trend. This thematic zone will showcase innovative building technologies, practical building tools and green building materials and hardware. Exhibitors will include a pavilion from Dali (Booth: 1A-B01) displaying the latest innovative and eco-friendly aluminium application technologies for indoor and outdoor structures. Other highlighted products include the solid wood sports flooring presented by Canica Building Materials Ltd (Booth: 1A-D01). This is the only Hong Kong brand to be certified by the International Basketball Federation and the Badminton World Federation as a Level 1 international competition sports flooring system. The company will also present other eco-friendly building materials at the fair. During the fair, the HKTDC will organise a series of conferences for industry players to stay abreast of the latest market developments. 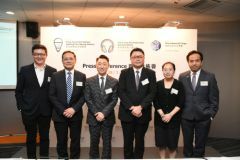 These include the Asian Lighting Forum 2019 that will be held on the first day of the fair (6 April). The forum will invite representatives from OSRAM, Signify, illumination Physics, Tridonic, LEDinside and to discuss everyday applications for connected lighting systems, the latest lighting technologies, and upcoming trends. On 7 April, the Smart Lighting: IoT and its Supply Chain forum will invite experts from Tuya, Alibaba A.I. Labs and JD Cloud to talk about the applications and opportunities that smart lighting products offer. With the addition of Innobuild, the HKTDC will team up with the Hong Kong Green Building Council to organise the Smart Building Solution in Energy Efficiency forum on 8 April. Representatives from Negawatt, En-trak Hong Kong and Planon Hong Kong will share different ways to enhance the energy efficiency of various building materials. The HKTDC launched the e-Badge initiative for buyers on its HKTDC Marketplace App in November 2017 and extended it to exhibitors this January. It will continue to be offered at the April fairs to allow seamless access to the events along with reduced waiting time. The app has also added the e-Business Card feature that allows buyers and exhibitors to instantly exchange name cards and information by scanning QR codes. This convenient feature will enhance connections between fair participants and generate more business opportunities. Established in 1966, the Hong Kong Trade Development Council (HKTDC) is a statutory body dedicated to creating opportunities for Hong Kong&apos;s businesses. With 50 offices globally, including 13 on the Chinese mainland, the HKTDC promotes Hong Kong as a platform for doing business with China, Asia and the world. With more than 50 years of experience, the HKTDC organises international exhibitions, conferences and business missions to provide companies, particularly SMEs, with business opportunities on the mainland and in international markets, while providing business insights and information via trade publications, research reports and digital channels including the media room. For more information, please visit: www.hktdc.com/aboutus. Follow us on Google+, [email protected], LinkedIn. Copyright ©2019 ACN Newswire. All rights reserved. A division of Asia Corporate News Network.